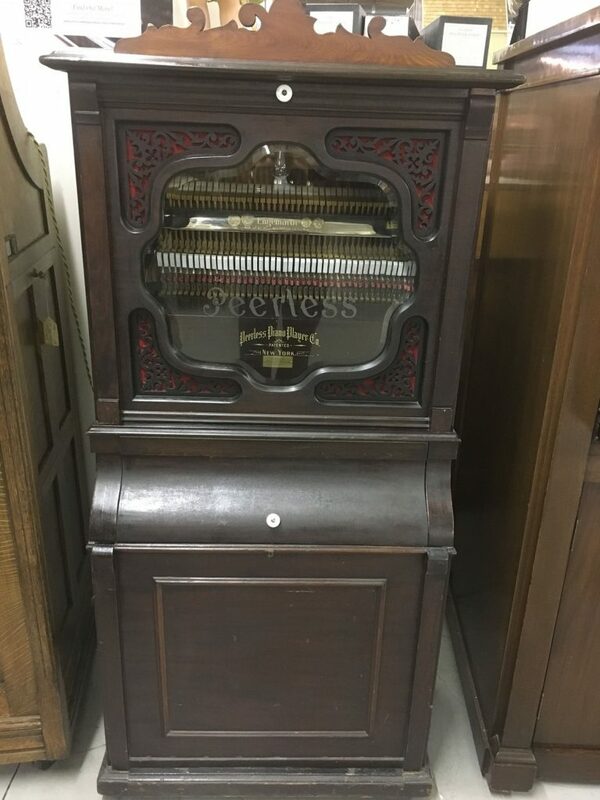 Manufactured by Peerless Piano Player Co. of St. Johnsville, NY. This was the first American-made coin-operated piano. Like the Link machines, it employs an endless roll.